This story is excellent. As an ex-Catholic, I especially enjoyed the religious story line that pulled the plot together. The writing is sometimes trite with certain words or phrases overused, but mostly its enjoyable. What I didn’t like was the narration. 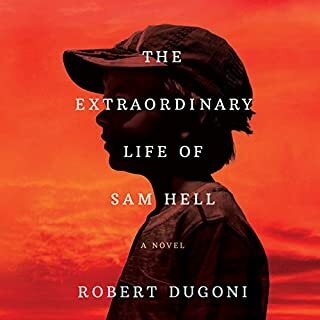 Dugoni is a writer, not an actor, and that’s how he reads. His different voices and accents are amateurish, and his Spanish accent is horrendous. I might read another book written by Dugoni in print, but not another audio book if he narrates it himself. The publisher should know better. I absolutely loved this book. It has now become one of my favorites. 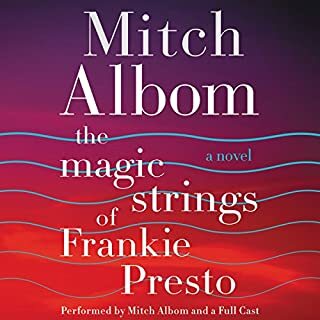 Everything about it was great— the narration with different people doing different characters, the story that was believable (to the point that I actually googled Frankie Presto to see if he was real) yet with a lovely touch of magic, and the whole treatment of music. The narration by Music, the talent who was kind of like a god, was very novel and interesting. Maybe the only misstep was the narrator’s horrible Spanish pronunciation, but the positives more than made up for that. I highly recommend this book. 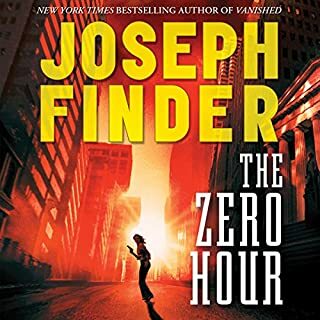 I've read and listened to a lot of Bosch books over the years and this is the worst one ever. The narrator's monotonous voice puts me to sleep, and the story is slow, overly detailed and devoid of action. 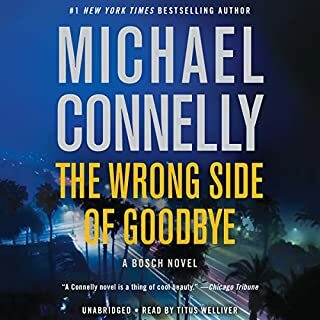 Connelly goes into every tiny thing Bosch does in the course of his investigation and its painstaking to listen to in the narrator's monotone. I'm about halfway through and I haven't decided if I'm going to bother finishing the book or not. Don't waste your money or your credit on this dull dull book. 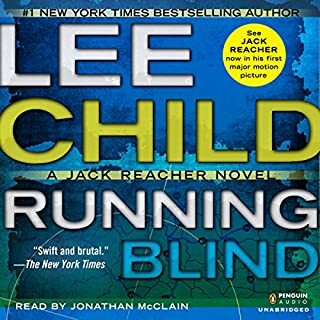 The story was fine-typical entertaining Reacher. But the narrator was really hard to listen to. He couldn't do women's voices at all and he made the male characters except for Reacher sound angry and shout everything. He really ruined the book. I hope they don't get him to do any more Reacher stories. 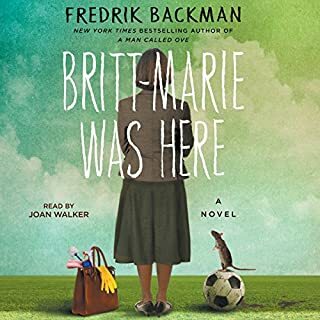 Where does Britt-Marie Was Here rank among all the audiobooks you’ve listened to so far? What was one of the most memorable moments of Britt-Marie Was Here? She made the character seem so real and so believable. This was a good story that held my attention. It got a little bogged down in technical details, most of which was unnecessary to the plot and just slowed it down. Also, of course, it's dated, almost obsolete, because technology and terrorism have progressed so much since this was written. Still, it is an exciting story. The way that the characters become real people that you really care about. I can't say without giving away the story. But I really cared about what happened to Kell, so every moment that pertained to him was memorable, maybe especially his mother's death and the way he reacted. 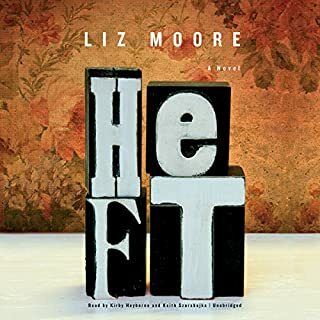 If you could take any character from Heft out to dinner, who would it be and why? Kell. I want to see what's happened to him since the end of the story. OK. I want to take Arthur Opp out too, to see if Kell changed his life like I think it did. The story builds and builds to the climax and sometimes I wanted to be able to skim through it (like you can when you read text) so I could get there. But listening forces you to hear every bit of this wonderfully written book and you realize how important that is so that you can truly understand these characters. 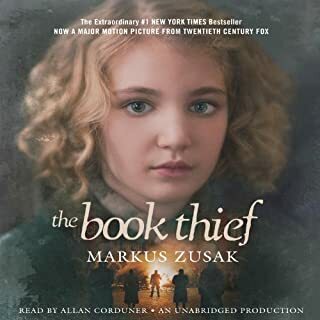 Would you consider the audio edition of The Book Thief to be better than the print version? I don't know. I haven't read it. But I can't imagine that a movie that doesn't have the great narration and the wonderful metaphorical writing would be as good. The beautiful writing, especially the voice of the narrator. I loved it. Mostly I'd say I cried. The story is great but it's the language that makes this such a wonderful book. You really start to care about this guy! Well, Theo, obviously. But Pittu performed all of the characters perfectly. His Boris was also outstanding. He does it all--accents, male/female, the right emotions. This was a GREAT book. You really get pulled into the story and start feeling like this boy is real. Sometimes he does stupid things and you want to shake him. Other times, you just feel so sorry for the tricks life has played on him. All of the characters were developed to the point that you knew them and what made them tick. 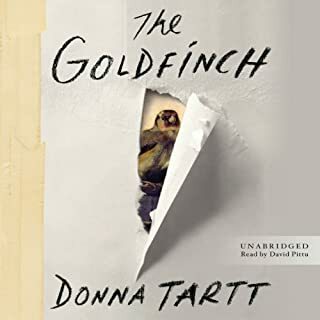 This is one of my all time favorite audio books. What would have made Gone Girl better? 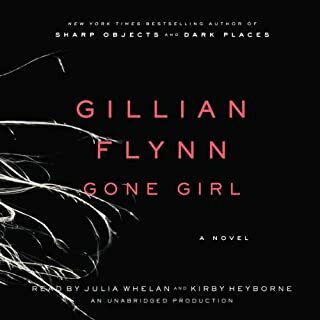 Would you ever listen to anything by Gillian Flynn again? Would you be willing to try another one of Julia Whelan and Kirby Heyborne ’s performances? Probably not, but it might just be the roles they were reading. Julia's voice was so whiny. Kirby's was too high. If you could play editor, what scene or scenes would you have cut from Gone Girl? many many chapters, all the endless whining/explaining by Amy. Most of the middle. The plot did not warrant such a long drawn-out book. While the basic, "whodunnit" is kind of interesting at first, this book drags on and on. Neither character is particularly likable. About halfway through, I actually asked someone who'd read it to tell me what happened so I wouldn't have to listen to the whole long boring story to get to the end. She gave me a hint and I skipped about 20 chapters and listened to the last couple. I felt completely ripped off and disgusted by the ending.